What festive treats will you find – it’s time for Fanatical’s next big bundle, and this time, it’s a mystery! The Fanatical Winter Mystery Bundle is the go-to place to warm up your Steam library with a selection of fantastic AAA and Indie titles. Using the slider, you can choose between one ($1) and 10 games ($6.99) that are randomly selected. From a little as one dollar, you could bag yourself a wintry wonder. Will you get an award-winner, a game from a blockbuster movie franchise, or a critically-acclaimed title… who knows! Plus – as part of your order, you will receive a coupon via email to get 15% off your next game from Fanatical. You will be able to use this until the 31st December at 11:59 PM. It cannot be used on bundles, pre-orders or Star Deals. What’s in the Winter Mystery Bundle? But anyway, I got the full 10 games in the bundle, because I’m a gamer and I can’t help myself with collecting games that I can only hope to have the time to play every single one of them. There are links in this post that are affiliate links, which means I may get a small commission from your purchase of a product, with no extra charge your way. 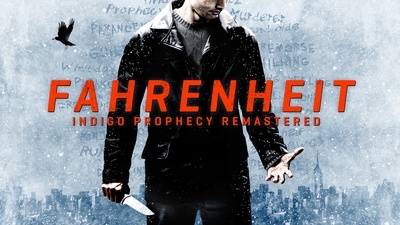 You play as private detective named Daniel White, who is endowed with parapsychic abilities. Visions that he gets, help him to solve investigations. At first glance, the case that you are part of is about missing teenage girl who’s from small fishing village. With every next location, you will experience more and more weird situations and discover that everything is leading to big global conspiracy. If you think that is only summer walk through fishing village, you are wrong. This is an epic adventure which will blow your mind. OK, I saw the name, and the first thing that came to mind was Earthworm Jim. Then I thought about it and decided I probably wouldn’t like this game all that much. Don’t judge a book (or game, in this case) by its name though. I checked out the description and it’s actually right up my gaming alley. A point and click game. Detective-style. I’m officially intrigued. Oh what a bummer. 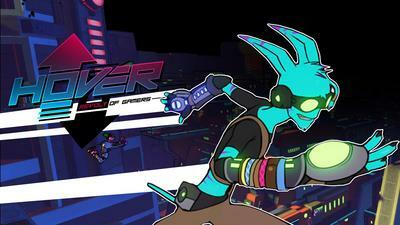 Hover is actually on my ignored list on Steam (I’m finicky with what I play, what can I say?). I’m not saying that I hate the game, because I haven’t played it. But from the glimpse I’ve given, it’s not my style. It’s kinda like neon light skateboarding and has multiplayer options and…yeah. not up my alley. Cyber Cube is an fast action platformer in which you take control over a cube and have to overcome difficult challenges. You will be tested in 100 levels with mesmerising backgrounds and each offering a different and unique combination of obstacles. From switching layers, changing direction to deadly obstacles, each with a different mechanics. Offering multiple designs for your cube’s core which you unlock by finishing higher levels. I don’t often play platformers, honestly. It’s not that I don’t like them, it’s just…point and clicks and rpgs control my life, I guess. No, but really, Cybercube looks a bit tedious. It’s got the simplistic graphics going on, which isn’t a bad thing at all. But it looks thinking-intensive when it comes around to completing the levels. Some people like those types of games. I, on the other hand, tend to scoot them off to the side. Gloom and doom. Three words I think of when I see that one word. Judging by the description, I’m probably not too far off. It’s a H.P. 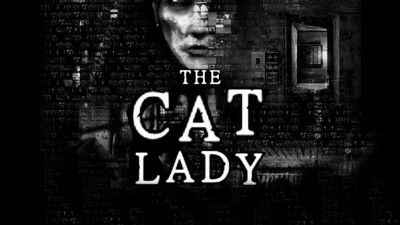 Lovecraft inspired story, and that in itself intrigues me. The graphics are pixel-esque, and pixels games can sometimes look really good, but also bring me a strong sense of nostalgia to a lot of PlayStation games I used to play. Not that consoles before the PS1 didn’t offer pixel graphics, but the PS1s are the ones I remember most. Let’s just say, Gloom is on my to-play list. Duke of Alpha Centuri is a space shooter with amazing graphics. The main goal of our game is to have a lot of fun while blowing up hordes of different types of enemies. Engage in boss fights, upgrade your ship and ship systems until you are able to show off in an endless mode. Ehhhh, sci-fi. The one category I just don’t ever feel like touching. I don’t know what it is. Something about science fiction–movies, books, games–makes me turn away. Aliens. Space ships. Intergalactic space travel. It’s unbelievable and terribly far-fetched in my eyes. Then again, I’ll go for fantasy. Unicorns, dragons, demons, etc. 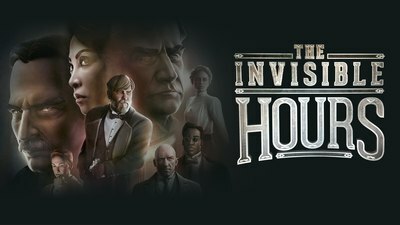 The Invisible Hours is a complex murder mystery playable with or without a VR headset. 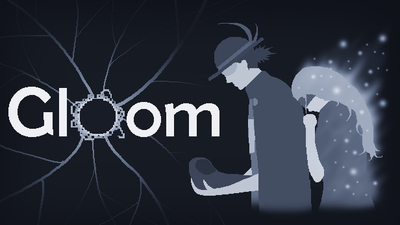 Players freely explore an intricate web of interwoven stories within a sprawling mansion. A group of strangers receive a curious invitation from the enigmatic inventor, Nikola Tesla, offering each of them the chance to make amends for their darkest wrongdoings. When the last guest arrives at Tesla’s isolated mansion laboratory, they find him dead – murdered. Disgraced Swedish detective, Gustaf Gustav, vows to find the killer amongst the other guests: a blind butler, a convicted murderer, the world’s most famous actress, Tesla’s former assistant, the son of a wealthy railroad magnate, and rival inventor Thomas Edison. But none of these people are what they seem. Huzzah, a game that was on my Steam wishlist has been fulfilled in acquiring! It seems like the game offers a bit of drama–character-wise. I’m hoping, since it seems to have multiple characters, and due to it being a mystery, that we’ll learn quite a bit from each character and they’ll be fleshed out in a positive way. Sometimes games miss out on this. Hungry flame is an action packed, vibrant game. The main goal is saving yourself from the flame that is chasing you. You are the only one who decides which path to take. Get ready for the fast paced environment and avoid getting terminated by the flame. Use your agility to break through different obstacles. Destroy your foes and use the environment in your favor. Hungry Flame isn’t too high on my list of games to be played, though it looks intriguing, if you’re interested in dodging flames in a crazy puzzle areas kind of way. I just tend to like my games to be fleshed out–like character-driven stories and such. Maybe that’s from me having been a writer and having read so many books for so many years. I actually had this game on my ignore list, but I’m reconsidering. The reason why I ditched the idea of playing it was probably for the graphics. They don’t look the greatest. But then again, a lot of good games out there don’t have the most spectacular of graphics, yet have excellent play. So I’ll be giving this game a try. It’s story-rich apparently. More of an interactive novel than a game, or so says a review I glimpsed? I don’t mind those types of games at all, as long as everything makes sense in the end. I enjoy text-based games that have a lot of reading to them and flesh out a story. This definitely seems like one of those games. There have been a few others–that involve phone conversations that I liked. 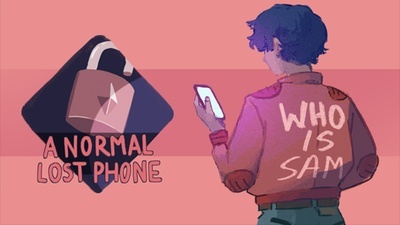 Life is Strange games have phone conversations to read, for one. The only problem with these games is if I happen to record it, I’ll have to read everything. My voice tends to break after a while. The price I pay for enjoying what a game has to say. The name reminds me of a friend of mine, who has several cats and calls them her babies and pampers them and everything. The cover, however, is nothing like my friend–who’s basically ADHD combined with five cups of coffee. It’s very gritty combined with an uneasy vibe. Probably another reason why I’ve placed it on my Steam wishlist, yeah? I didn’t actually read the synopsis until this point, and my interest level definitely shot up.